Robert E. Whitehead, 87, of Parker City, IN passed away Monday morning, August 20, 2018 at Willow Bend Nursing Center, with his family by his side. He was born January 19, 1931 in Farmland, IN the son of Ernest and Marguerite (Thornburg) Whitehead. He was a 1949 graduate of Stoney Creek High School. 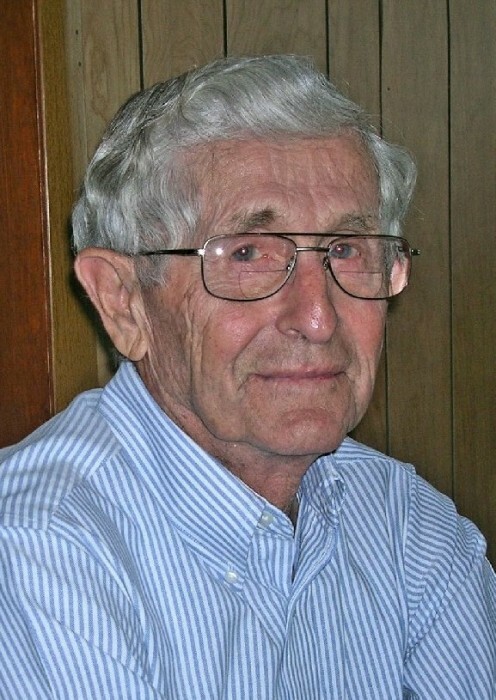 Robert was a lifelong farmer of Randolph County. He retired as a Monroe Central Schools Bus Driver after 30 years of service. He practiced his faith as a member of the Farmland Friends Church. He was an active representative of the farming community serving on the Randolph County 4-H Sale Committee and the Board of Directors for the Oakville Elevator. He was a member of the Parker City Lions Club. He most enjoyed his leisure time with his family, especially his grandchildren. Bob leaves to cherish his memory a loving wife of 66 years, Barbara; two sons, Bruce Whitehead (wife, Cathy) of Parker City, IN and Mark Whitehead (wife, Jennifer) of Hoagland, IN; a daughter, Marcia Flanagan (husband, Jerry) of Farmland, IN; a sister, Carolyn Sparks; nine grandchildren, Luke Whitehead, Levi Whitehead (wife, Stephanie), Lyle Whitehead, Landon Whitehead (wife, Jami), Jordan Price (wife, Rachel), Jonathan Price (wife, Brandee), Abby Wagner (husband, Andrew), Cale Cassel (wife, Laci) and Noah Whitehead; 19 great grandchildren, Lane, Liam, Harper, Ellie, Finley, Nash, Delainee, Brody-Bob, Lakyn, Hunter, Wyatt, Lennox, Kennedy, Max, Cora, Ada, Callie, Reese and Crosby; and three nieces. He was preceded in death by his parents; and his grandparents, Luther and Maggie Thornburg, founding owners of Thornburg Funeral Home of Parker City, IN.